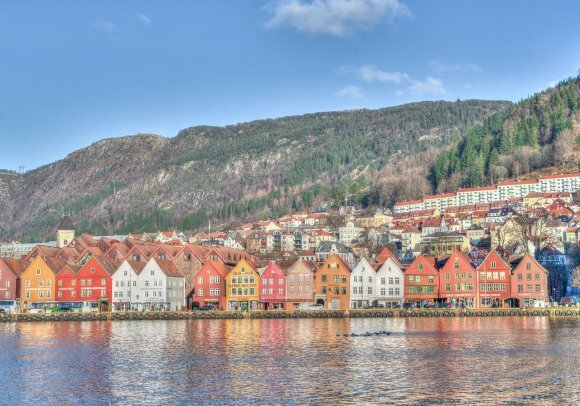 Bergen, a city on the south-western coast of Norway surrounded by mountains and fjords, has been revealed as the host destination for Routes Europe in 2020. Routesonline caught up with Jasper Spruit, vice president of traffic development at airport operator Avinor, to find out more about Norway’s year-round appeal. Bergen was last week unveiled as the host destination for the 15th Routes Europe, which will take place in the Norwegian city in less than two years’ time. 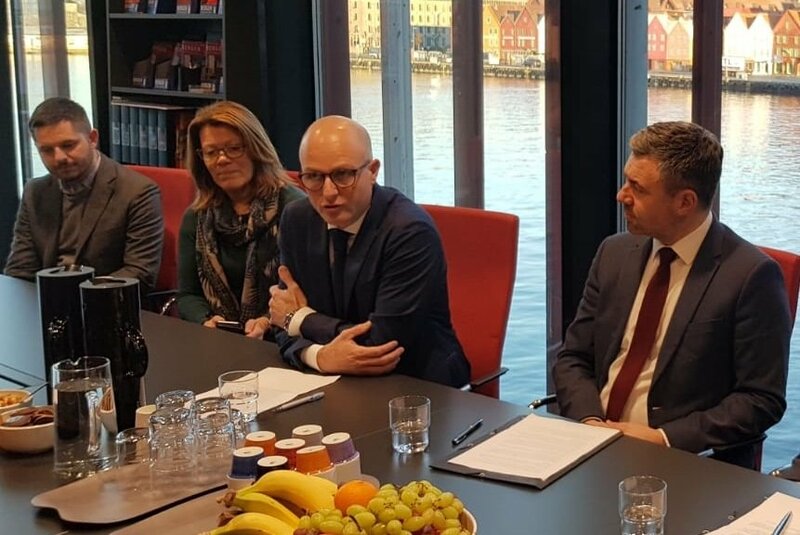 Airport operator Avinor will host the route development forum, alongside its partners Fjord Norway, Innovation Norway, Visit Bergen, the City of Bergen, Grieghallen and Hordaland county. "We are very excited to have this great opportunity to showcase the attractions Norway has to offer," says Jasper Spruit, vice president of traffic development at Avinor, which is responsible for the traffic development of Avinor’s 44 state-owned airports. "Bergen is a fantastic compact city in itself, a place we know many people have the desire to visit. And we will show the six main Norwegian markets: the hub and the large intercontinental flow at Oslo; Bergen’s strong leisure pull coupled with oil industry, seafood and production; Stavanger’s growing leisure appeal in addition to oil; Trondheim as a leisure and trade destination; the amazing northern lights - and seafood exports." The successful bid comes at a time of growth for the country’s aviation industry. 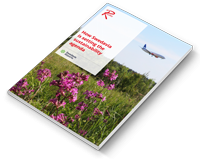 According to figures from OAG Schedules Analyser, the total number of available departure seats from Norwegian airports is set to hit a record 40 million this year, a rise of about 4 percent on 2017. “We have really continued the momentum created in 2017,” says Spruit. “At Oslo, our largest hub, we had 27.5 million passengers last year and growth this year will be more than 4 percent. We’ve seen very strong growth in long-haul. For example, Qatar Airways in October began operations with its new Airbus A350-900 to Doha, which will also help our cargo business. "Elsewhere, Widerøe recently inducted two E-Jet E2s into its fleet, which are based in Bergen, and has opened new routes to Liverpool, Billund, Gothenburg and Munich." Bergen Airport is the second largest in Norway and opened its new terminal T3 in August 2017. The infrastructure development increased the airport’s annual capacity to ten million passengers. One reason why Bergen was chosen to host Routes Europe in 2020 is thanks to its ever-growing popularity as a destination, for both domestic and international markets. In the first 11 months of 2018, traffic from the city has grown by 3.1 percent to 5.8 million passengers. New routes from Bergen this year include the services launched by Widerøe alongside SAS’s five-weekly link to Aberdeen, a daily flight to Paris by Joon from Air France, Helsinki by Finnair and Loganair’s routes to Inverness and Manchester. At Oslo, Avinor’s latest route successes include Norwegian’s services to Krabi, Dubai and Tel Aviv, Air Baltic to Tallinn and Ethiopian Airlines to Addis Ababa. In 2019, Chinese carrier Hainan Airlines is opening a direct route between Beijing and Oslo, while Hungarian airline Wizz Air, already a long term customer of Avinor, will commence daily routes from Oslo to Gdansk and Krakow, and a four-weekly Budapest rotation. The airline will also open Vienna – Bergen and Tromso – London Luton. In addition, SunExpress is launching a seasonal service from Oslo to Konya next summer. Spruit says that Norway’s year-round appeal is a major plus point for airlines. There is a strong business market and year-round in- and outbound traffic. “There aren’t many capitals in the world where you can be in the city one minute and skiing half-an-hour later,” he explains. “In winter we also have northern lights experiences, while in summer we have the fjords and the midnight sun. On the latter point, seafood is one of the leading drivers for air cargo traffic. The fastest growing seafood export markets are North America and Asia - and Spruit says that Asia in particular offers huge potential, with Seoul a major white spot. At Oslo Airport, Avinor is building a new 17,000 sq m cargo facility that is expected to be in operation by 2020 and handle 250,000 metric tonnes of seafood annually.